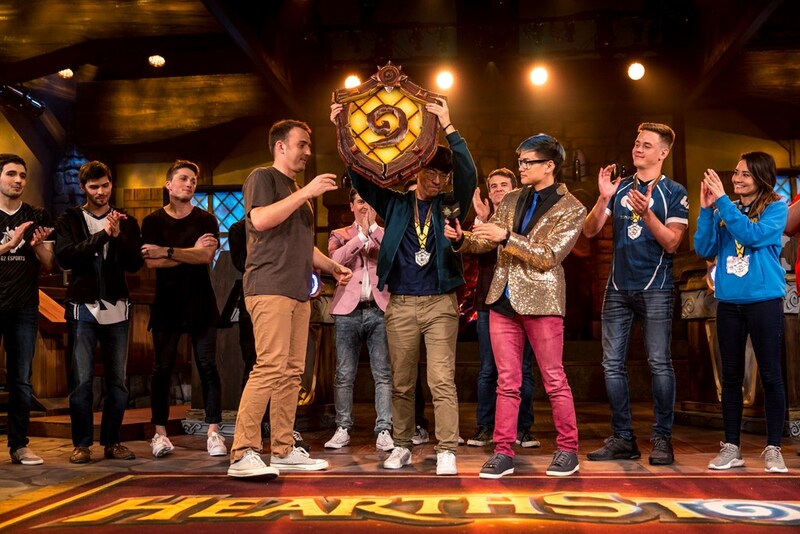 Our first pun-based eSports trophy! 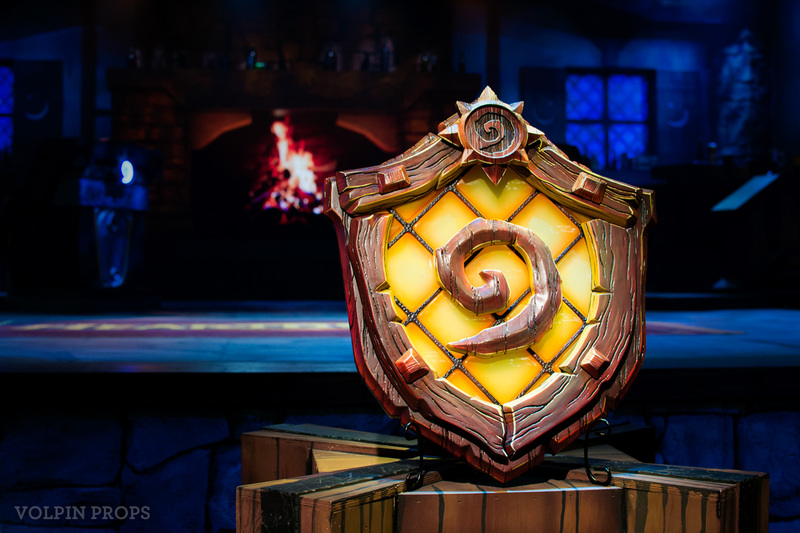 The Hearthstone INNvitational took place at Blizzcon 2017 and featured 12 of the best Hearthstone players battling in a round-robin 3-person team format for the first time in the history of Blizzcon. 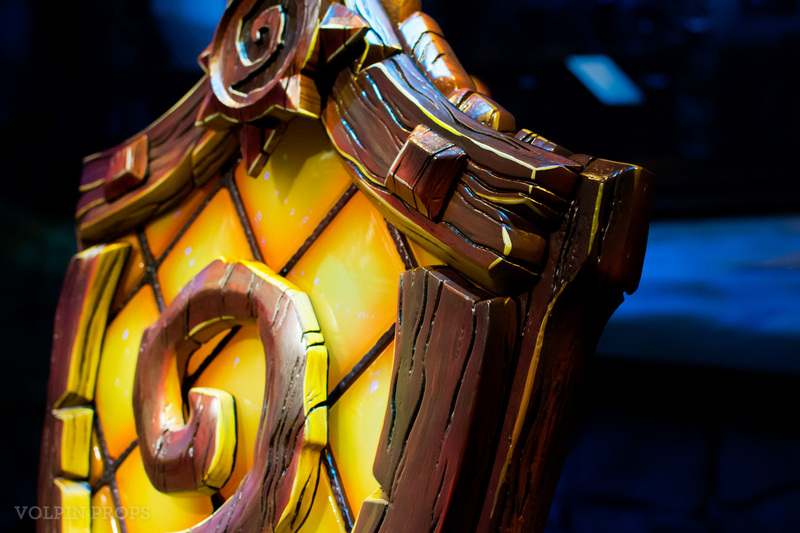 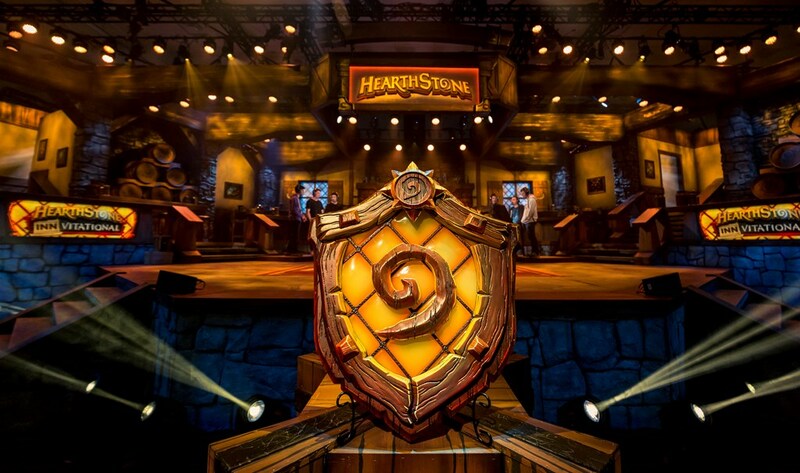 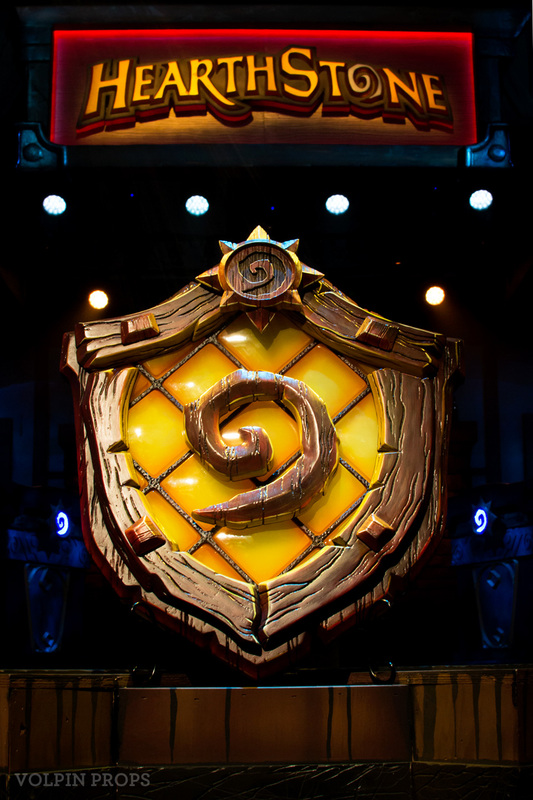 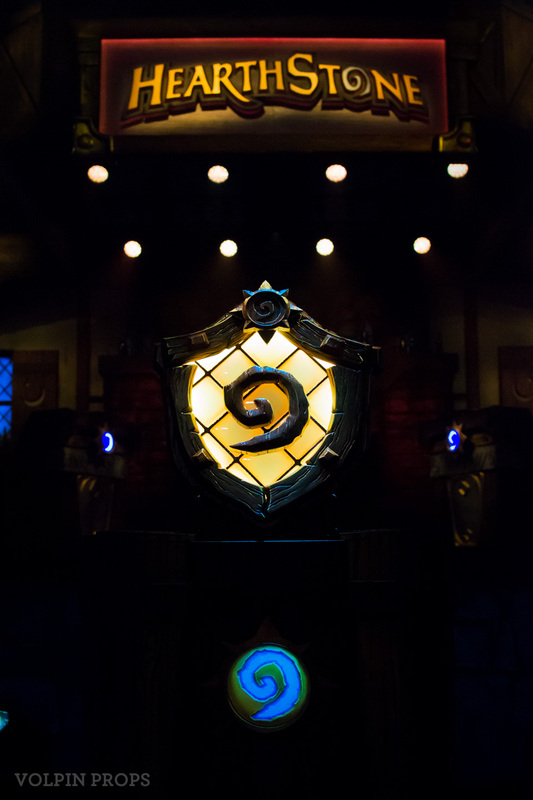 We were tasked with bringing to life a large element of the logo – the tavern window in which Hearthstone takes place – and creating a visually striking centerpiece for the event. 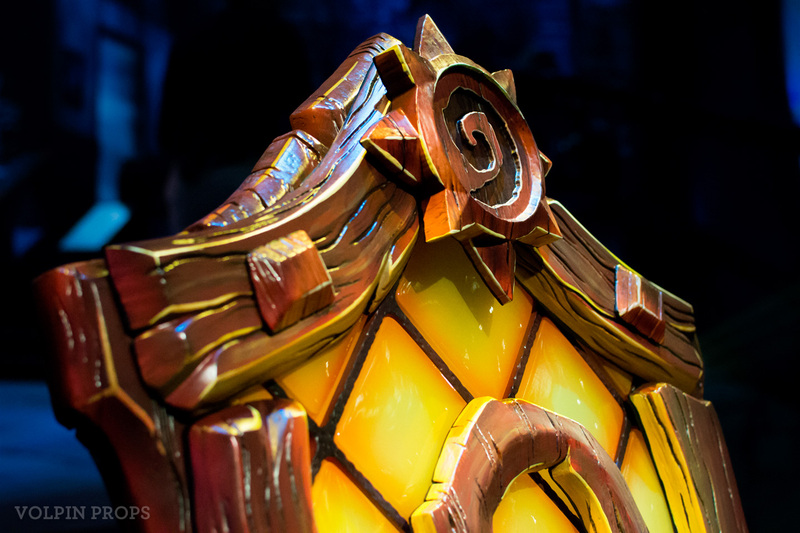 The Inn window is nearly 30″ tall and is constructed of layered urethane boards, hand-carved and painted in a bright high contrast style to emulate a cartoonish wood facade. 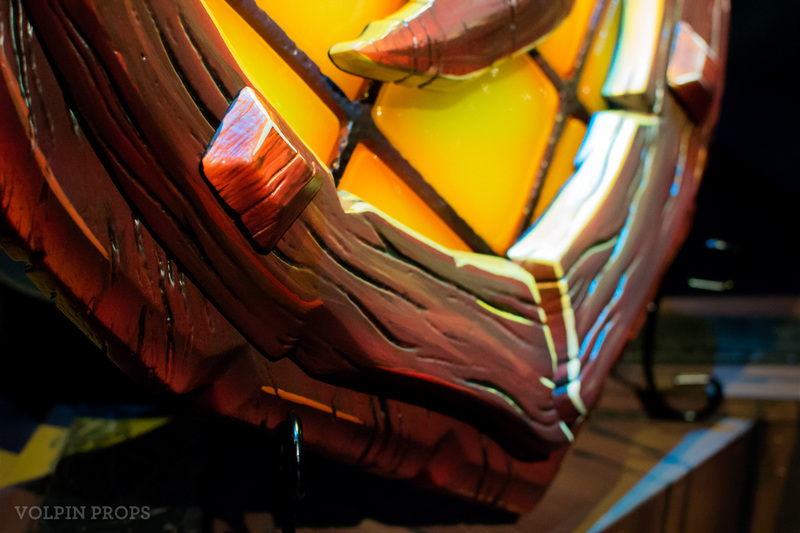 A vacuumformed plastic shell sits in for the window, with nearly 200 internal LEDs providing a warm, flickering glow. 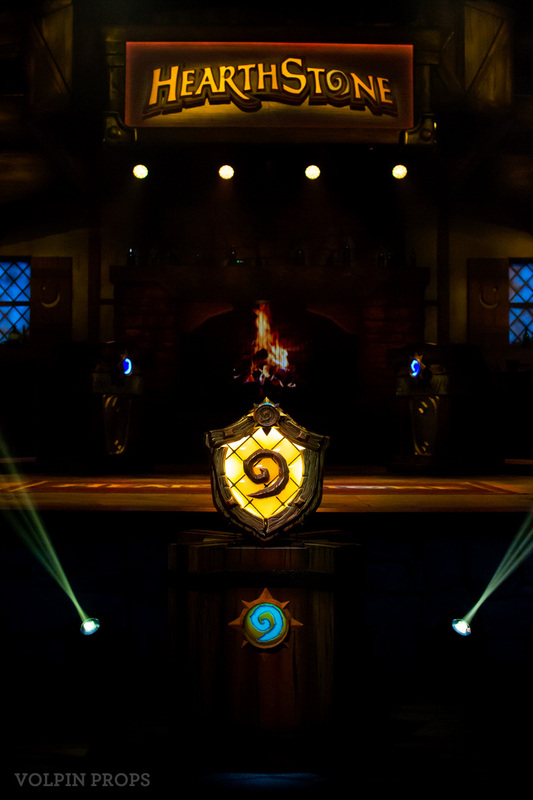 Power is supplied via an internal battery pack which can run for freestanding awards ceremonies, or by an external power supply so the award can remain lit during long gameplay sessions. 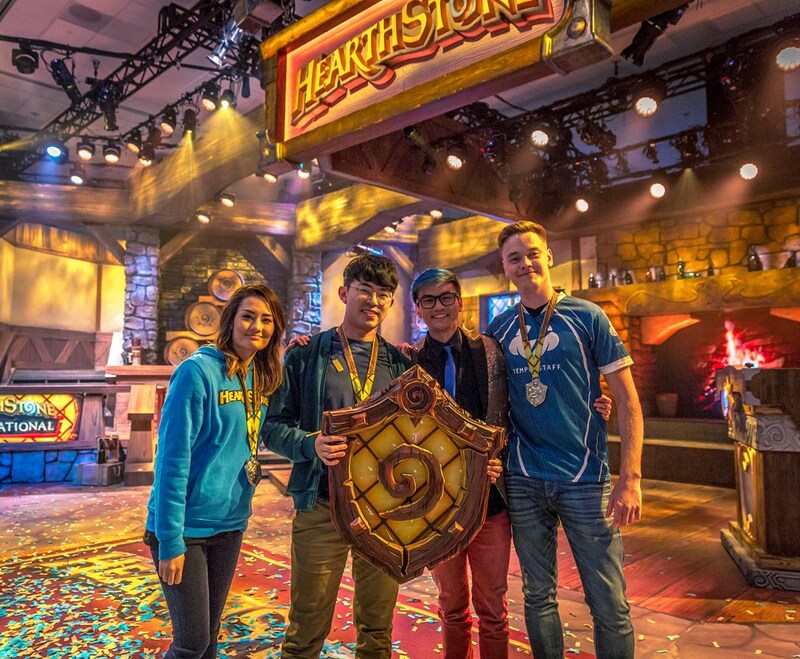 We also created three winning medals for the champion team. 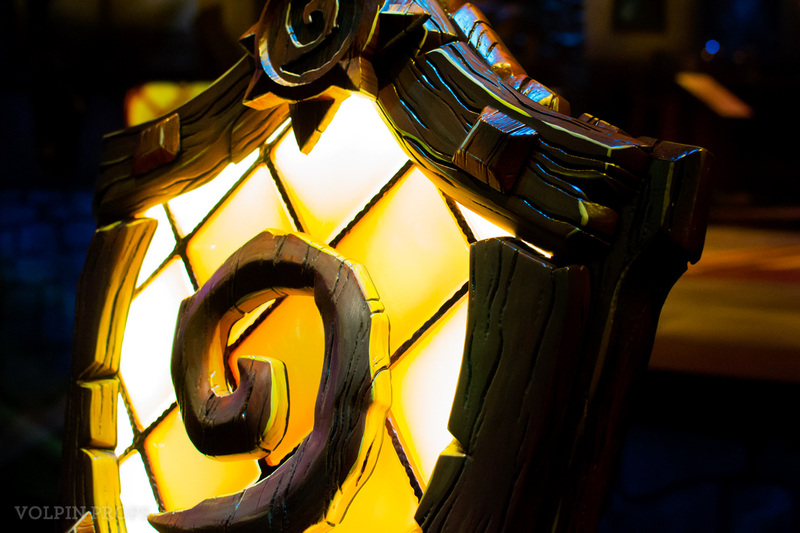 These were cast pewter versions of the inn window sculpt, complete with custom printed dye sub ribbons designed to match the color scheme of the main award.